How the fandom sees Percy. . Wallpaper and background images in the Helden des Olymp club tagged: photo percy persassy percabeth fandom. Um why would Percy like little mermaid? Oh oh maybe that's what the other campers at camp half blood tease him with!!!!! I mean something like, 'Hey Percy we're going to watch a movie, wanna come?' 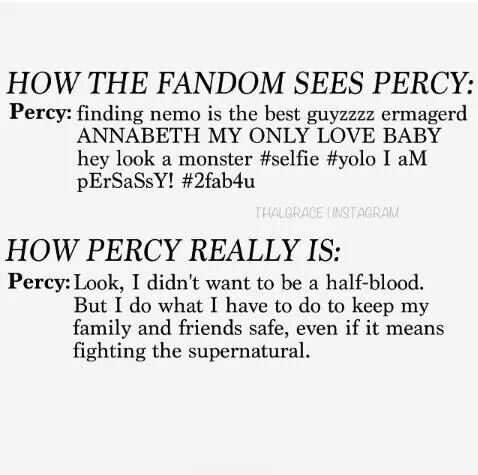 And Percy will say something like,'Um sure, but what are we watching?' And they'll say,'Little Mermaid, of course.' And then everyone bursts out laughing and Percy just blushes and walks away. This is how the tumblr fans see him. The tumblr fans are very interesting people.